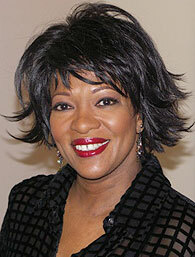 Pulitzer Prize-winning writer Rita Dove. Photo by Fred Viebahn. Emory University presents “Entering the World Through Language,” a Women’s History Month series featuring Pulitzer Prize-winning writer Rita Dove March 20-22. The three-day series features a classical music performance, a reading by Dove, and “creativity conversations” with Emory English professor and Pulitzer Prize winner Natasha Trethewey and the Atlanta Symphony’s music director Robert Spano, Emory University Distinguished Artist in Residence. Dove is the Commonwealth Professor of English at the University of Virginia. She won the Pulitzer Prize for Poetry in 1987 and was Poet Laureate of the United States from 1993 through 1995. A canonical figure in American and African American literature, Dove is known for her interdisciplinary approach and her collaborative ventures with composers, musicians and other artists. • Reading by Rita Dove and Performance by William Fitzpatrick (violin) and William Ransom (piano). • 7 p.m., Sunday, March 20, Schwartz Center for the Performing Arts, 1700 North Decatur Rd. Dove reads from her latest book of poetry, “Sonata Mulattica,” which tells the story of a 19th century black violin virtuoso, Bridgetower, who inspired Beethoven but died in obscurity. The reading is followed by a performance of Beethoven’s “Sonata Mulattica” (better known as the “Kreutzer Sonata”) by visiting violinist William Fitzpatrick and William Ransom, the Mary Emerson Professor of Piano at Emory. Book signing and reception to follow performance. • Noon, Monday, March 21, the Theater Lab (Room 203), Schwartz Center for the Performing Arts, 1700 North Decatur Rd. Atlanta actors join Emory students and faculty to perform a short reading of “Georgie Porgie,” a comic verse play that is at the center of Dove’s “Sonata Mulattica,” followed by a conversation between Dove and Emory students. • A Creativity Conversation with Rita Dove, Alvin Singleton and Robert Spano. • 6 p.m., Monday, March 21, Presentation Room, Oxford Road Building, 1390 Oxford Rd. Dove talks with Alvin Singleton, the prize-winning composer who has adapted Dove’s work to music, and Robert Spano, music director of the Atlanta Symphony Orchestra and Emory University Distinguished Artist in Residence. Moderated by Lois Reitzes, host of “Second Cup Concert” on WABE 90.1. • A Creativity Conversation with Rita Dove and Natasha Trethewey. • 6 p.m., Tuesday, March 22, Governor’s Hall, Miller-Ward Alumni House, 815 Houston Mill Rd. Dove and fellow Pulitzer Prize–winning poet Natasha Trethewey, the Phillis Wheatley Distinguished Chair in Poetry at Emory, will discuss writing, mentorship and literary ancestries. Moderated by Rudolph P. Byrd, director of the James Weldon Johnson Institute at Emory, a co-sponsor of the “Entering the World Through Language” series. For more information on these events contact the Emory Center for Women, 404.727.2031 or cwe@emory.edu.